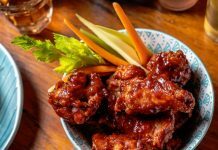 When Szechuan and Hunan cuisines burst on the local scene in the early 1980s, their arrival was heralded on New York restaurants by the appearance of the phrase “first time served in New York” next to items on the menu. 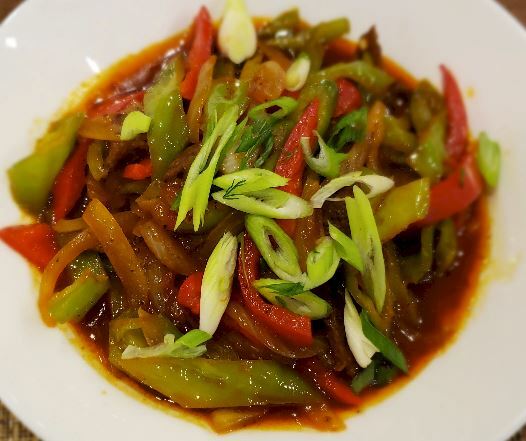 While these words don’t appear on the menu at two-and-a-half-month-old Lagman House, in Sheepshead Bay, they might: The restaurant is the first purveyor hereabouts of Dungan cuisine. Dungan food is not Chinese food — at least not entirely. It is rather a culinary hodgepodge devised by Chinese Muslims who left their homeland in western China around the turn of twentieth century and settled in neighboring Kazakhstan. 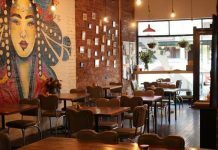 You will thus find hand-pulled noodles and soy sauce side-by-side on the same menu with meatballs and pickled cabbage. Dungan food is the food of detente. 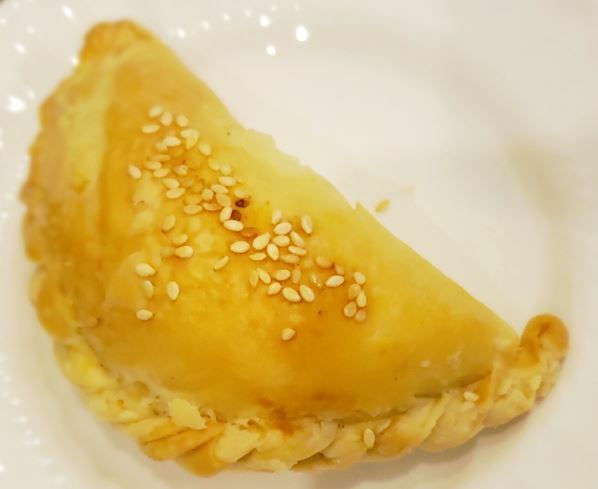 Decide for yourself which culture, Chinese or Russian, gets credit for samsa, whose name seems to be a culinary cognate of the Indian “samosa” but are more like empanadas — delicate little pastry half-moons stuffed with minced beef and sautéed onions: a promising starter. 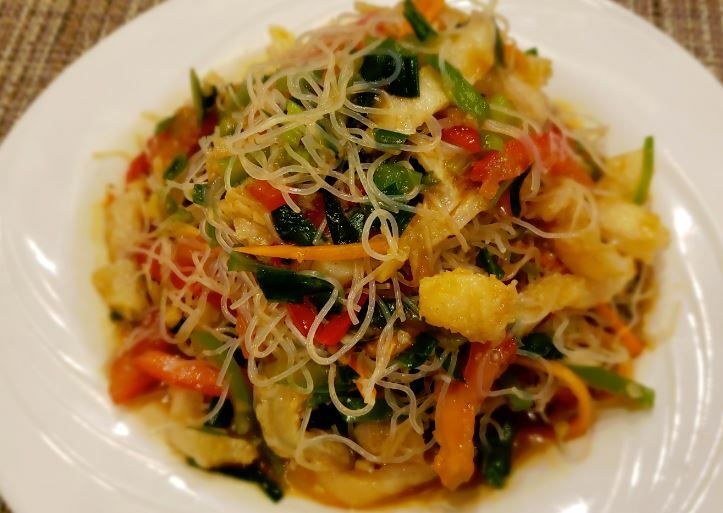 The promise continues with the cold tripe salad, slightly chewy lengths of the honeycombed meat presented in a dense tangle of cellophane-type noodles studded with sweet peppers and scallions, all in a tart sprightly dressing — a good warm weather dish. The house, which has yet to secure a liquor license, invites you to “bring your own.” For this dish, bring cold beer. Ash lan fin, another cold starter, is presented in a fashion not unlike a Cobb salad. 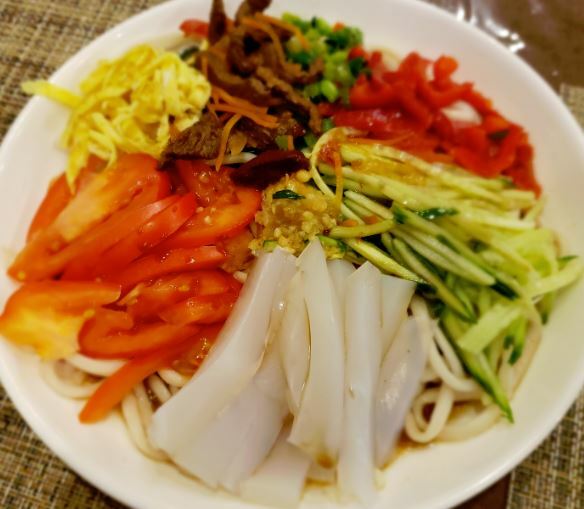 The various components of the dish, shreds of beef and scrambled egg, sliced tomatoes, matchsticks of cucumber, slabs of bean jelly, arrive compartmentalized atop a hillock of fat housemade noodles. Your waiter instructs you to intermingle the ingredients before eating, but the dish comes off as a little clammy. This may be culture shock. The dish, you are told, is a big hit in Kazakhstan. 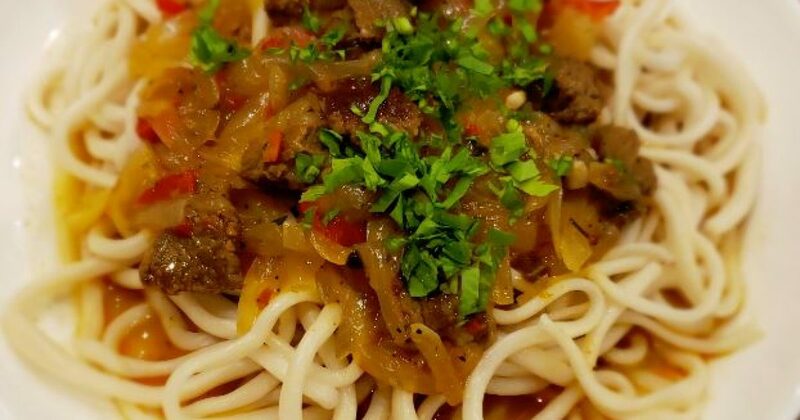 Those noodles turn up again, this time hot, in the restaurant’s signature dish, lamian (aka lagman), where they are joined by strips of beef and braised onion, the entirety showered with cilantro: A homey dish that makes for good eating. Some of the dishes are imbued with a peppery kick. Among these is the “pepper gravy,” a colorful array of peppers, scallions, tomatoes, onions, whole cloves of garlic and beef in a rousing sauce. You can control the level of spice upward through additions of the chili paste presented alongside. I know it probably sounds weird in the context of the other dishes mentioned, but Lagman House does really good home fries. Visually, the ton momo offered at dessert-time is a ringer for the samsas, except for the sprinkling of toasted sesame seeds on its surface. Inside you will find a delightful hash of dried fruits — chiefly apricots and raisins — and chopped walnuts. 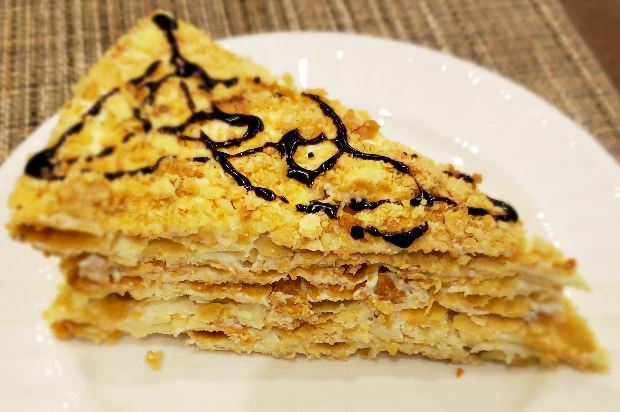 How, you ask, does a Russian napoleon differ from the classic French pastry of the same name? Only by dint of its presentation. It is served in a wedge rather than as a rectangle. The proportion of pastry cream to puff paste is also skewed a bit toward the latter, but it is an altogether satisfying sweet. If you speak English here, you will be well accommodated, but you will also be in the minority. The bulk of customers speak Russian or Chinese. The menu does likewise. 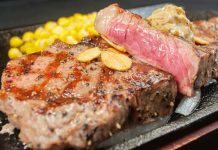 Price range: $4.99 to $9.99 for starters, $9.99 to $18.99 for main courses, $4.99 to $5.99 for desserts. Lagman House is open for lunch and dinner Tuesday through Sunday, closed Monday. Lagman House, 2612 East 14th Street, Brooklyn, 718-872-5979.